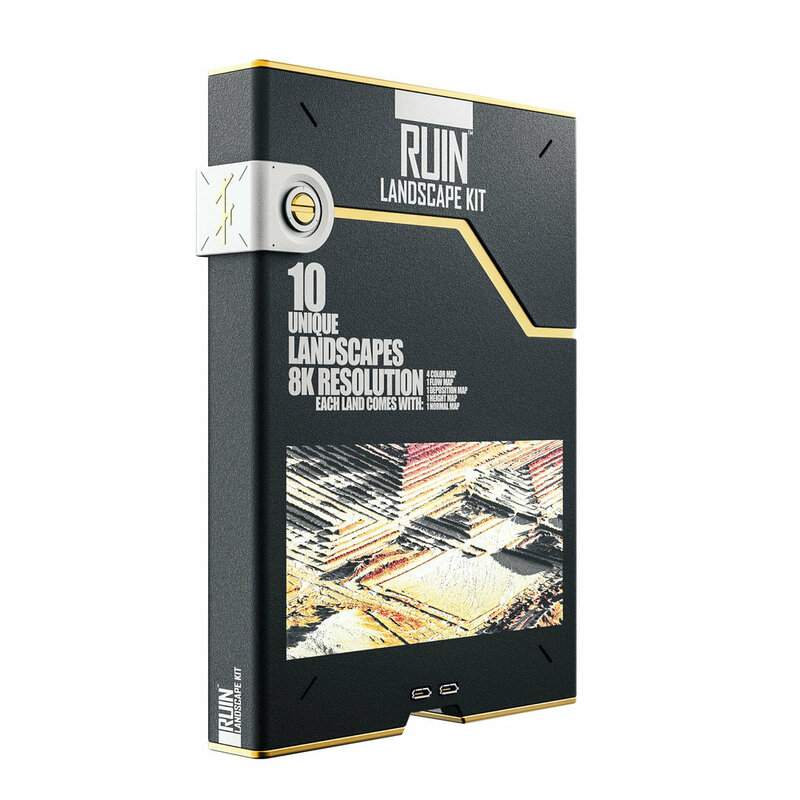 The Landscape Kits is one of the first product of it's kind, I wanted to give a smart and easy way to create and customize the outcome of the land, by giving out some compositing choices when texturing the landscape. These kits gives you the opportunity the play around premium world machine raw outputs without the hassle of learning world machine and render out large bitmap files. The Valley edition will take you to exotic places. The Ruin edition will take you on a journey through historical and fictional city ruins. The Macro edition will take you to unseen territories to the naked eye.